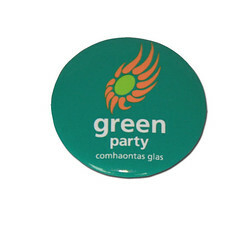 The Green Party have released details about a new deal that could aid the conservation of our planet, as well as attempting to tackle the issues of mass production and consumption, and economic inequality. Caroline Lucas from the Green Party has described, in an article in The Guardian newspaper, the types of changes that she would like to propose in the battle against capitalism and the destruction of our environment. The heart of this approach is centred on rejecting the current government’s plot to make huge budget cuts, especially within the public services. Instead, the Green Party are suggesting this country invests in a new “green infrastructure”, which would not only help in the fight against climate change and towards nature conservation, but it will also help create a huge number of jobs in the trade sector. By regenerating every building in the UK to be highly energy efficient and partially self-reliant on their own energy supplies, this scheme could produce a huge number of jobs for numerous trades – such as engineers, plumbers, builders and electricians, to name just a few. The possibility of implementing a new zero-waste strategy could also help create tens of thousands of jobs in the public service sector, especially for refuse collectors, and the party’s idea to train thousands of people in horticulture in order to produce more locally sourced food, would also produce many more jobs for people in their local areas. This new Green “deal” is proposed to be funded partly by the new tax revenues generated by the scheme, as well as from private funding, repaid from savings on homeowners’ and businesses’ energy bills. Could this be the future for an environment-friendly, economic equality-driven society? Only time will tell. Get in touch and give me your views on this proposal. Could you adopt this bee? Beekeepers all over Britain are urging bee lovers to “adopt” a hive, to help improve the future for the common honeybee. With the numbers of the honeybee declining steadily, the British Beekeeper’s Association (BBKA) are promoting a new campaign to encourage bee lovers – especially those who are unwilling or unable to keep a hive of their own – to help fund the protection of our fuzzy, winged friends. The money will be used to aid research into the health of bees and support the training for beekeepers around the UK. With the commercial value of honey weighing in between a massive £10 million to £30 million, it’s no surprise to learn that numerous areas of the UK’s economy could be affected. Agriculturists and chefs alike could suffer if the number of honey bees continues to decline. So much so, that the Telegraph has reported that Michelin-star chef Raymond Blanc is backing the campaign. 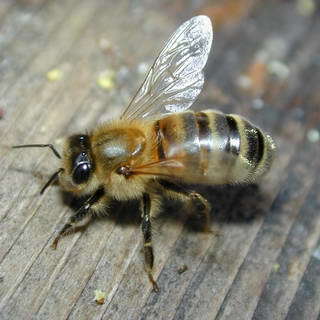 If you would like to adopt a hive, visit the BBKA for more information. The internet has become one of the main threats to endangered species, according to conservationists. Our high-tech age of constant consumerism means that we can buy and sell anything we want – including live animals or their fur – through online auctions and chatrooms. According to recent findings, it is the anonymity of these online auction sites and chatrooms which causes such a problem – as the illegal activities of buying and selling either animals or their furs is severely difficult to trace back to the perpetrator. These websites clearly need to have a higher level of regulation around them, as these activities are illegal and a serious problem to the conservation and protection of our endangered species. Birmingham’s iconic Curzon Street station could be reopening to connect with the new high-speed rail service from Birmingham to London. This would seem to be good news for old station, situated at the rear of Millennium Point, as it would not only be back up and running, but it would once again be at the forefront of the cutting edge rail business – as it was when it first opened in 1938. However, the Birmigham Conservation Trust has warned of a possible clash between building conservation and landscape conservation. The National Trust in the Thames and Solent region are said to be “dubious” about the proposal, after the BBC reported Patrick Begg – director for the National Trust’s Thames and Solent region – as saying that the route could cause “serious and significant impacts on the landscape”. The National Trust appears to be fretful about the environmental issues in opening the new HS2 line, and claim that they are “yet to be convinced” that the government have fully taken into consideration the environmental factors surrounding the proposal. It seems then, that this could be a long and difficult battle between building conservation and restoration and landscape conservation. 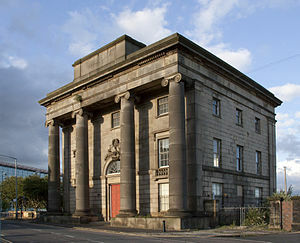 Whilst the idea of the Curzon Street Station being conserved and restored to its former glory could heavily sway many of Birmingham’s residents, organisations such as The National Trust will not be alone in flying the flag for the conservation of Birmingham’s natural areas and landscapes. Unfortunately it is not just the animal life that is suffering, as the Bog Orchid could also be at risk of dying out in the West Midlands. Despite its name, this plant is simply stunning to observe; with its tiny yellow/green flowers and long tall steam which stands high above ground level, it is lovely looking. The Bog Orchid is a particularly rare species; so rare, in fact, that it even became a target for thieves in 2001, when they stole the last remaining example of the plant from an area in Norfolk. So surely there must be something we can do to keep this rare beauty in the Midlands? The Hister Beetle is also at risk of becoming extinct in the Midlands. Usually found buried under the bark in many of our local parks, this unique species of beetle is renowned for its ability to live side-by-side with ants and termites –a rare feat amongst other beetles in the world. Our peaceful and harmonious friends could soon be gone forever, and you can bet the ants and termites aren’t looking forward to whatever new beetle crew takes their place! Worse still is the news that the beautiful Chalkhill Blue Butterfly could flutter away for good. This breed is only found in the UK, but due to it’s habitat of chalk and limestone grassland beginning to decline, this majestic creation may soon be extinct. How will our Augusts’ ever be the same without the sight of this startling butterfly hovering above our shrubs and flowers? The West Midlands is suffering from a continuing rise in numerous species of animal and plant life becoming endangered. 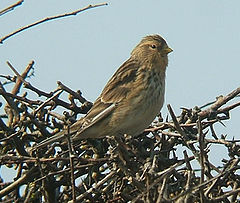 Many people will be fond of the small, speckled brown Twite bird, which was often seen fluttering around many of the more rural areas of the West Midlands in previous years – mostly because our local area provides plenty of low-lying shrubbery and bushes, in which it builds its nests. So it will be a shock to many an avid bird watcher to find that this little cutie is actually becoming extinct in the West Midlands and Birmingham areas. It would be a sad day to find that this little finch had finally disappeared from our hedge ways for good, so stick a bird-feeder in your back garden full of seeds and welcome the little guys in to set up home in your hedge. I’m Louise and I’m finding my feet in the world of Birmingham Conservation. I’m a Journalist for BirminghamRecycled and a student at Birmingham City University, and I will be taking you on an in-depth journey into the highs and lows of conservation in and around Birmingham. So hold tight folks, because here we go!